Individuals with disabilities and functional impairments need a range of services and supports to keep living independently. 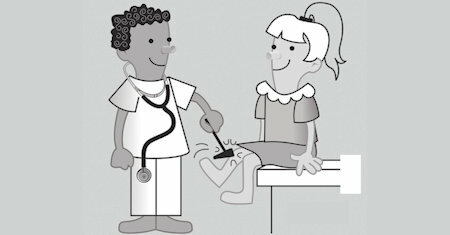 However, there often is not a strong link between medical care provided in the home and the necessary social services. The morality involved in the ordinary cases of medical homicide and mutilation is discussed. Craniotomy has been omitted because this operation on the living child is never morally licit, and when done on the dead fetus it requires no explanation. This volume helps physicians identify the wide range of medical and social services available to assist their patients at home. Careful utilization of appropriate services can prevent unnecessary rehospitalizations and emergency department visits. The book describes what federally funded programs have accomplished in understanding medical errors and implementing programs to improve patient safety. It covers a wide range of research paradigms, clinical settings, and patient populations. Discussions of a wide range of issues regarding patient safety and quality health care. This book provides some insight into the multiple factors that determine the quality and safety of health care as well as patient, nurse, and systems outcomes. Just Doctoring draws the doctor-patient relationship out of the consulting room and into the middle of the legal and political arenas where it more and more frequently appears. An important and exciting book in biomedical ethics. This manual is the result of a comprehensive consultative process, guided by the WMA. The publication is structured to reinforce the ethical mindset and practice of physicians and provide tools to find ethical solutions to these dilemmas. Looking at human sickness and healing through the lens of evolutionary theory, the author presents the need to show and communicate sickness and to seek and provide healing as innate biological traits grounded in evolution. Today, it is not possible to deliver high-quality cancer care without using existing approaches, tools, and resources to address patients' psychosocial health needs. This book recommends actions to ensure that this standard is met. Clinical Methods is a guide and a reference in the techniques and analysis of clinical data. The book should provide clinicians and students with the best current knowledge of the techniques of collecting and using clinical data.